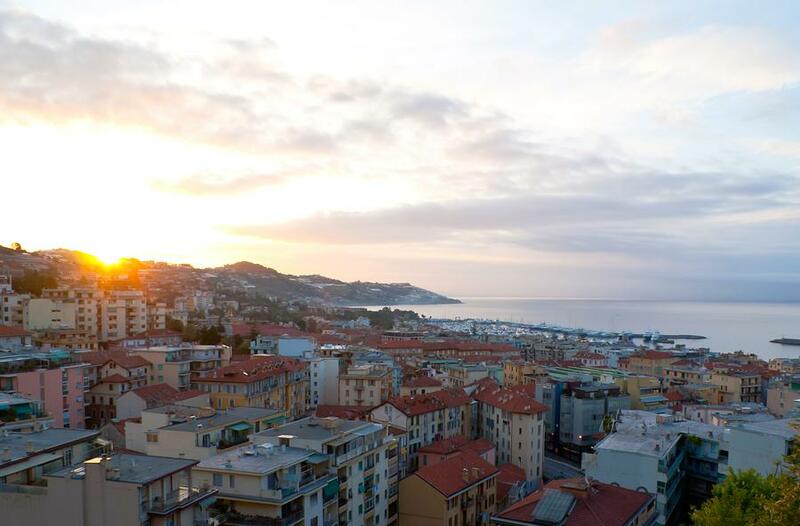 San Remo has been a popular resort for many decades and famous wealthy Europeans chose to spend their holidays here. It has a well known casino, sea front hotels and a lovely old town. Corso Matteotti is a popular street lined up with cocktail bars, cinemas and clothes stores. Unless you drive into San Remo the easiest way to arrive is by train. The local station is located east of the town centre on Corso Cavallotti. 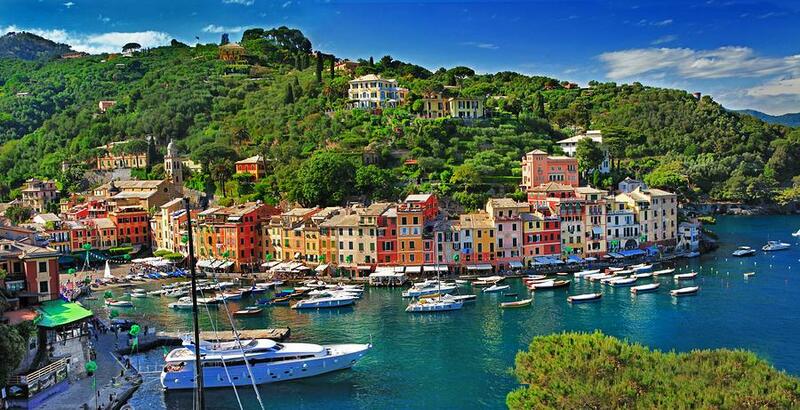 Portofino has been the choice Italian resort for European jet setters, film stars, the wealthy and the famous. It is an ideal setting with its small picturesque harbour, expensive waterfront shops and restaurants. The most rewarding option when visiting Portofino would be to take one of the various walks and admire the expansive vistas along the Riviera coast. 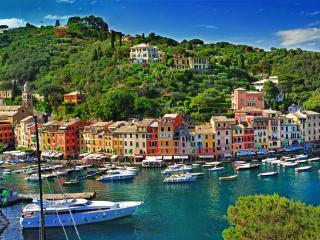 Book Accommodation in Portofino. 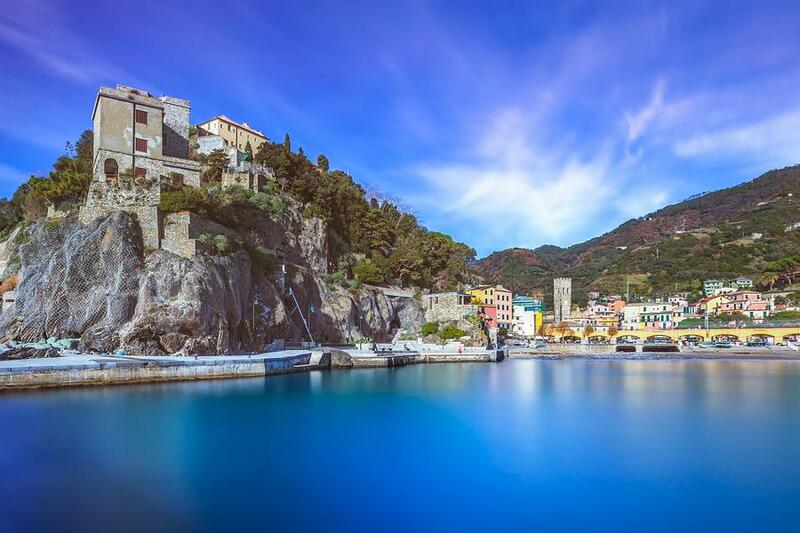 Cinque Terre consists of 5 tiny villages hidden into a series of coves between Santa Margherita Ligure and La Spezia. Monterosso is the largest and most developed village of Cinque Terre. Here you can swim in one of the little coves and visit the old quarter of the village on the hill including the 17th century monastery Convento dei Cappuccini. 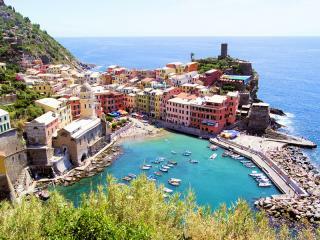 Vernazza, set in a natural harbour, has some lovely colourful houses, a couple of small hotels and a few restaurants. Corniglia is the smallest and most remote village in Cinque Terre set on a hill 90 metres above sea level. Getting to its natural and tranquil bays for a swim involves walking down the hill via a long flight of steps, but the wonderful views which can be enjoyed warrant the effort. Manarola has charming pastel shaded houses and the small 14th century church of San Lorenzo. A couple of small hotels and a few typical restaurants complete the picture of this little village. 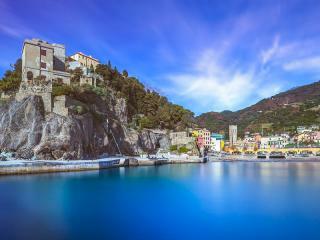 Riomaggiore is a lively village set on the easternmost part of Cinque Terre. From here you can take a wonderful walk along Via Dell'Amore (Lovers' Path) to Manarola. Walking down this path you will take you around 30 minutes and you will enjoy wonderful sea views and the lovely vegetation of this region. Santa Margherita Ligure is a small resort with nice beaches and lovely villas ascending onto its hill behind the town. It has some nice waterfront hotels and it is a favourite weekend escape for the Genoas. La Spezia on the other end of Cinque Terre is a larger town set between the hills and the sea. There are some nice public gardens to visit, the Museo Tecnico Navale and the city's Duomo Santa Maria Assunta. 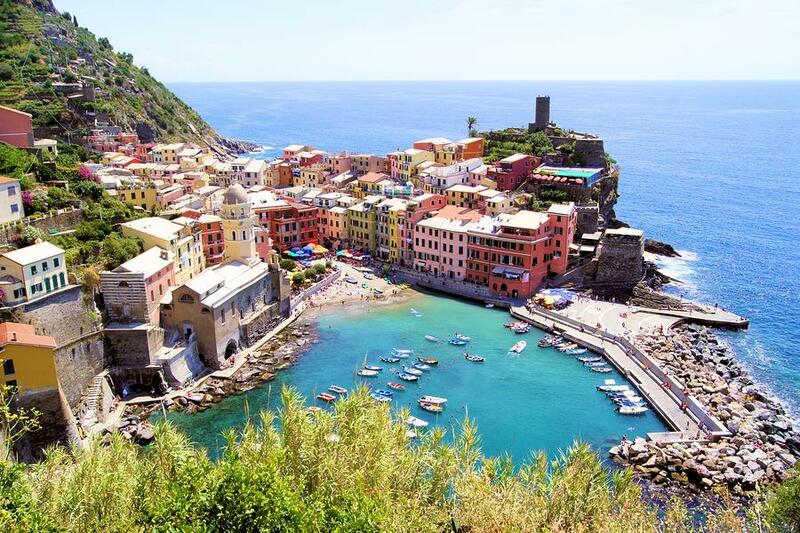 Cinque Terre and the resort towns of Sanremo and Portofino will give you an escape from the countless museums, palazzos and galleries you would have visited during your visits in Rome, Florence and Venice. 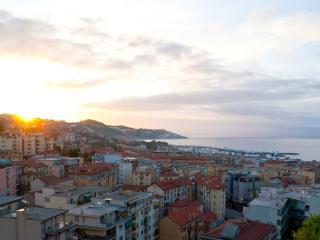 Book Accommodation in Sanremo.